The school psychology Ph.D. program early training is primarily oriented toward developing highly skilled practitioners who will promote the academic and social development of children and adolescents through the delivery of school psychology services. Students acquire knowledge and skills that are particularly salient in school settings (for example, assessment, consultation, prevention/intervention). Beginning students develop expertise in basic research methodologies and in the psychometric theories and variety of assessment and evaluation strategies. Doctoral students work to become proficient practitioners and researchers. Advanced students refine their knowledge and skills in assessment, prevention/intervention and consultation. Doctoral-level school psychology students are prepared to be producers of research. Doctoral students learn to critically evaluate empirical studies, conduct original research, and contribute to knowledge in school psychology through scholarly publications and presentations. Research focuses on serving under-represented populations through prevention and intervention at the individual, institutional and community levels. The program has a strong social justice emphasis within a rigorous academic environment. School Psychology ranked 5th in the nation among APA-accredited doctoral programs. Graduates have careers in academic and research settings, practice as professional (licensed) psychologists and certified school-based practitioners and impact policy, practice and administration as leaders and highly competent professionals. When applying to the School Psychology, Ph.D. program, you will need to submit several documents for review. You may exempt this test if you have received appropriate minimum scores on the ACT/GRE/or SAT. Interviews will be conducted by department faculty — you will be notified if you are selected for an interview. The Doctorate of Philosophy with a major in School Psychology is accredited by the American Psychological Association. The major area of requirements complete the basic body of knowledge for applied professional practice as a school psychologist, building upon the foundation acquired at earlier graduate levels school psychology. A minimum of credits must be earned in the doctoral major, and these must include the courses listed below. Content for some of the required courses listed below may have been obtained in the master’s or Ed.S. program prior to admission to the doctoral program. In such cases, appropriate substitutions and/or credit for prior coursework, may be made with approval of the student’s doctoral advisory committee. Students who have prior coursework that is judged by the advisory committee to meet some of these course requirements must earn a minimum of 38 semester hours at Georgia State University to complete the major area of the doctoral program. Note: CPS 8680 Internship in School Psychology is an Ed.S.-level internship that serves as the doctoral practicum requirement. The student’s doctoral advisory committee will determine whether the student has completed a comparable course in a prior graduate work and has sufficient skills and field experience to meet the criteria for this doctoral practicum. Based on input from the doctoral advisory committee, some students may be required to enroll in an additional practicum experience. NOTE: Application deadlines have changed. New deadline for Ph.D. is December 1. If an applicant holds a bachelor’s degree in psychology, education, or a related field, he or she can apply to the Ph.D. program in school psychology. Students pursuing the bachelor’s to Ph.D. program of study will complete all master of education and specialists in education prerequisites before beginning the Ph.D. program of study. 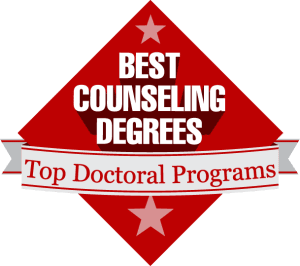 Students normally enter the doctoral program in school psychology after completion of requirements for both the master of education and the specialist in education (sixth-year certificate as associate school psychologist) degrees. However, students lacking such certification, but holding the master’s degree in a related field, may be admitted to the program with the provision that sixth-year certification (entry level for Georgia Department of Education state certification as associate school psychologist) is attained promptly. Ideally, planning for the integration of research training and professional skills training should begin as early as possible for the student who intends to pursue a doctorate. Therefore, students in the M.Ed. or Ed.S. program who anticipate application to the doctoral program should seek faculty advisement toward this goal early in their careers.